Perfect solution for small spaces at only 12.187W x 12.625H x 7.5 D. This compact size fits in tight spaces with a reversible cover and a built in level saves time. It is great for heatlthcare, food service, since a clean towel is dispensed every time without touching the dispeanser, reducing the risk of cross contamination. Each pull dispenses a single 11 inch towel. 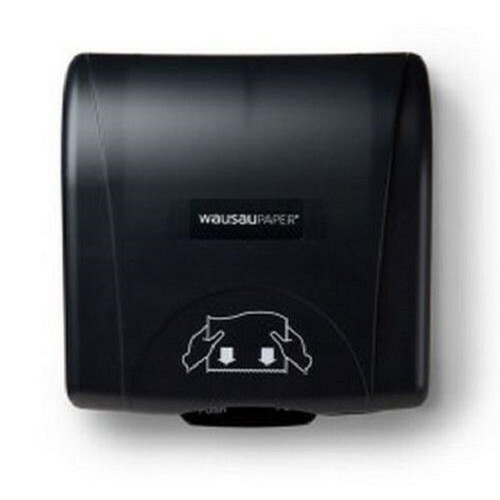 Dispenser contains between 25 to 35 percent recycled materials. ADA compliant.